Great Wines for July – Rain or Shine! 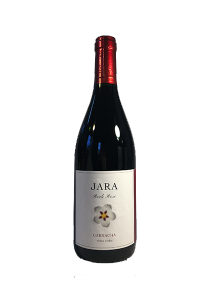 Jara 2015 Rock Rose Garnacha – made by Daniel Ramos, high in the Gredos mountains just west of Madrid. Have a look at http://daniel-ramos.es/en for an idea of what Daniel is all about. Unfortunately the Red Rose Garnacha doesn’t feature on the website but it’s simple enough and is a perfect example of why we don’t limit our range to certified organic. If any of Daniels grapes have seen any chemical fertiliser, systemic sprays, Roundup, excessive sulpur or cultivated yeasts I’ll eat my hat. They’re as natural as they come but sold on quality and drinkability rather than the green leaf on the labels. In fact, the vineyards design their own labels as shown on the website. Garnacha (not to be confused with Dennis the Menace’s dog), or Grenache Noir as it’s known in France, from old, high altitude, vines, crushed and fermented in concrete tanks and bottled young to . It’s definitely my wine of the summer and, despite being full of lush fruit, is delicious chilled. Equally good and very different is Domaine Begude’s ‘La Bel Ange’ Chardonnay. From our friend James Kinglake’s Domaine Begude in the high foothills of the Limoux and Pyrenees mountains. Cool climate, aromatic Chardonnay is what James does best and this is just that. 15% Chenin Blanc adds to the mix of crisp, citrus fruit aromas and slightly honeyed, peach and pear. 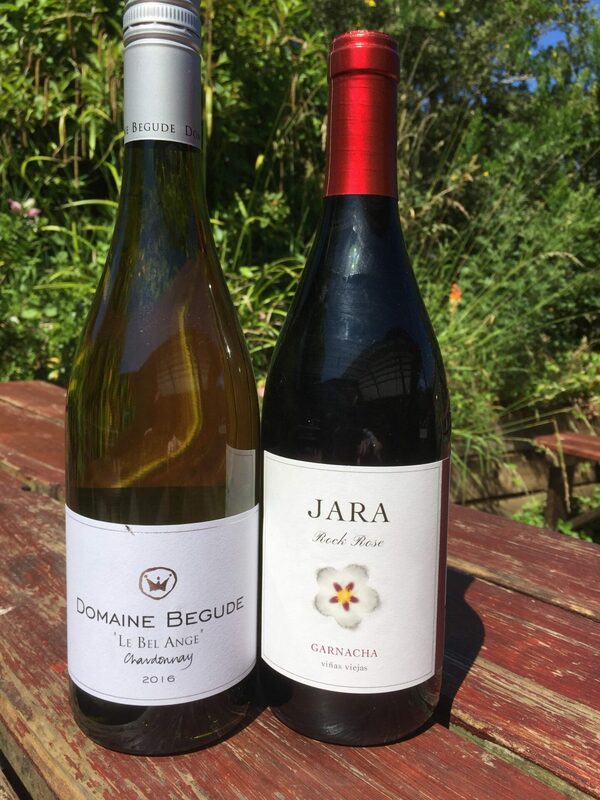 We’ve sold Begude’s slightly more serious Chardonnay Terroir for a couple of years but thought the lighter ‘Bel Ange’ more suitable for summer drinking – by itself or with salads, chicken, fish etc. Both wines are £9.99 by the bottle, £8.99 if you buy two or £50 for a case of six. Mix and match as you choose.